Figure 7 in Chapter 4 is as near as the Action Plan gets to a real plan. 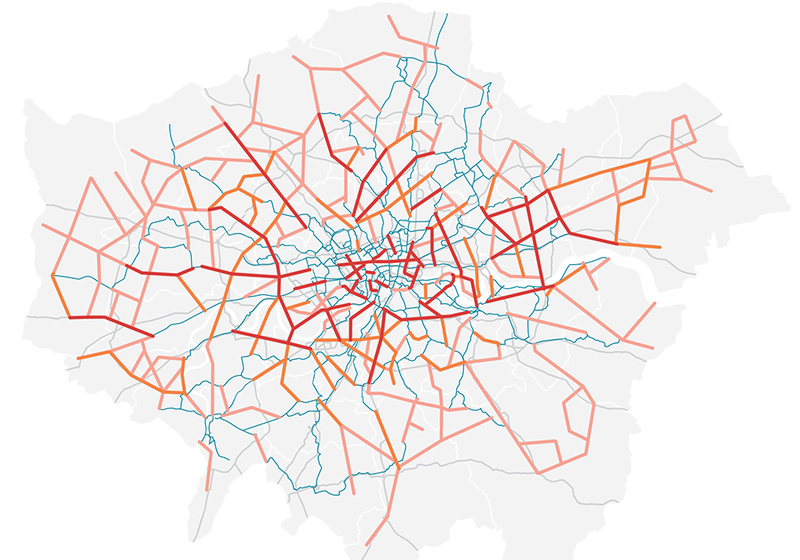 The caption is ‘Priority connections for a London-wide cycle network for 2041 (is reproduced from the Strategic Cycling Analysis, June 2017)’. Note that they are ‘priorities’. Without a phasing plan and a budget allocation it’s just wishful thinking – an ‘Inaction Plan’. The Action Plan promises systematic assessments of cycle routes and a replacement for TfL’s wretchedly inadequate cycle maps. TfL ‘hopes‘ to double the mode share of cycling in London by 2024, much as a 1998 plan hoped to double it by 2004 and quadruple it by 2012. The Appendix lists construction projects the Boroughs plan to implement. In the Foreword, Will Norman compares London adversely with Holland and Denmark. Good. But he should have analysed what’s wrong with London cycle infrastructure. In brief, the London Cycle Network was a fraud and much of it should be decommissioned. The last paragraph of the Foreword states that cycling is ‘not an end in itself’. 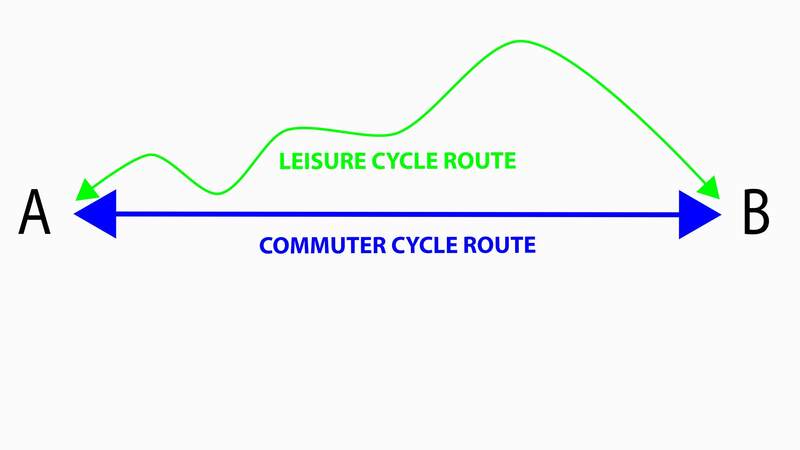 This may be true of commuter cycling. But it is not true of the two thirds of UK trips made for leisure purposes. Many of us ride because we love it. Cycling can be a delightful exercise in delightful surroundings. TfL should help plan the delightful surroundings: strategic leisure cycling routes and healthy enjoyable commuter cycling routes. Chapter 1 is full of hot air and is only worth reading for the figures of £9.3bn, for the estimated annual cost of congestion, and £1.4bn-£3.7bn, for the estimated yearly cost of air quality. Chapter 2 opens with the statement that ‘Our aim is to make London the world’s best big city for cycling by creating an environment where everyone who wants to cycle can do so’. This is good to read if you like hype. But HOW does TfL propose to achieve its aim. By ‘encouraging’ cycling? Or by drawing up a realistic plan and then investing in adequate infrastructure? The document does not say what sums of money or what percentage of the TfL budget might be allocated to cycling. I’d like to read that the target mode share for cycling is 25% and so 25% of the TfL budget will go to cycle infrastructure. Chapter 3 tells us that ‘Cycling in London has more than doubled since 2000’. But this was from a low base and much larger increases took place in Berlin, Paris, New York, Amsterdam etc and much of the London rise would probably have taken place without any action from TfL. It was caused by changes in London’s population, by congestion and by the rising cost of public transport. TfL research shows that, as everyone has known for years, the primary reason given for not cycling is that ‘almost half of all Londoners are put cycling by fear of collisions’. The chapter concludes by stating, as everyone also knows, that a great many trips in London could be better done by bike. It’s good to find these truths in an official report but there is nothing fresh or new about them. As Labour MP said in 1997 ‘Given the strength of the argument for cycling, it is amazing that so little is being done. Other countries do much more. In this country, cycling is regarded as a slightly cranky occupation’. Chapter 4 mentions two dates: 2024 and 2041. For 2024 the aim is to ‘almost double the number of cycle trips made every day in London (from 0.7 million in 2017 to 1.3 million in 2024)’. This is not an ‘ambitious’ target and including the word ‘almost’ makes it defeatist. My guess is that the rise will take place without any new infrastructure being built. By 2041, TfL hope that ‘Eighty per cent of journeys will be made by walking, cycling and public transport’. The problems with this are (1) 2041 is 23 years away (2) instead of lumping them together there should be separate mode share targets for walking, cycling, bus and train (3) TfL should remind readers that cycling is the fastest-growing transport mode in London and can be expanded much faster and at much lower cost than bus or train. Walking is also cheap but getting people to walk anything other than short trips will be difficult (4) To deserve the adjective ‘ambitious’ TfL should build sufficient cycle infrastructure to raise the mode share of cycling by 1% each year until 2041. This would give us a mode share of 10% in 2024 and a mode share of 25%. For the investment made in Crossrail 1 (£1.5bn/year) a London Cycleway Network could carry more passengers than Crossrail at a lower cost/trip. As mentioned on p.51 of the Action Plan, building CS3 on Lower Thames Street doubled the flow of cyclists in two years. If CS3 were part of a Londonwide network of segregated routes the traffic growth would be much larger. With all transport infrastructure you don’t get the full value until you have a network. Chapter 5 has the welcome statement that: ‘At the core of our ambition for cycling is a London-wide cycle network, spanning the whole of Greater London’. But the next paragraph states that ‘Today, the London-wide cycle network consists of the routes delivered in partnership by TfL and the boroughs in recent years, including Cycle Superhighway and Quietway routes’. This is really bad news because (1) what London has now is a network of routes: it is not a network of cycleways (2) as noted above. the London Cycle Network was a fraud. It should not be supported or improved. Too many of the routes have nothing to do with origins or destinations. They go from nowhere, through nowhere, to nowhere. These routes should decommissioned. In 2018, 66.7% of cycle fatalities in London were on TfL’s London Cycle Network and 22.2% of them were on TfL’s flagship Quietway 1. (3) p 53 states that the terms Superhighway and Quietway will be replaced by ‘a single brand for all high-quality cycle routes’. Re-branding is not the first requirement: most of the routes need to be re-planned and re-designed. TfL staff, I believe, would like to do a good job on London cycle planning but they do not have adequate support from the Mayor or from the TfL Board. So organisations like Stop Killing Cyclists need to ramp up their protests and seek the support from the cycling charities.